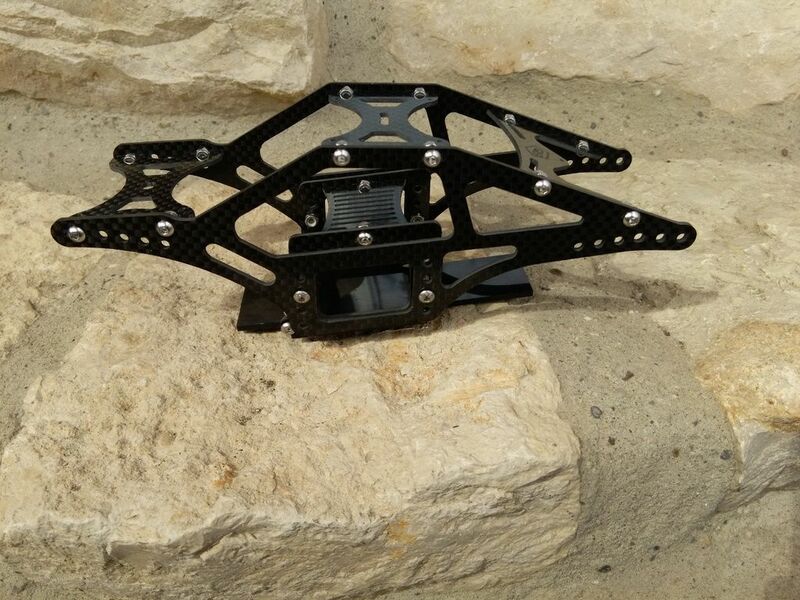 The new "Dominator V2", same great chassis only now comes with CF braces keyed into the chassis. 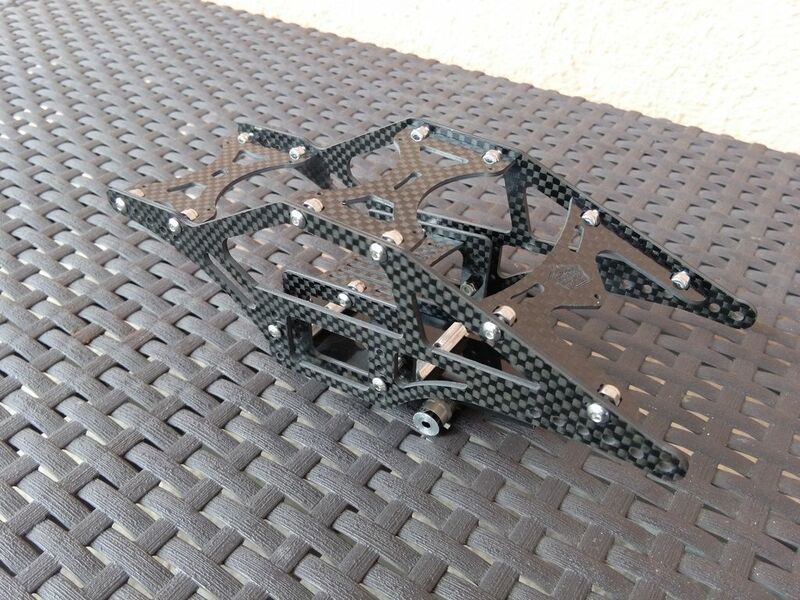 The chassis is constructed of CNC cut 2.0mm and 1.5mm 3k quasi grade carbon fiber. SS hardware and shock sliders are included. Chassis comes preassembled. Price is $150.00 USD shipped USPS Priority Mail in the USA. International shipping is available. Please PM for ordering and international shipping quote. Last edited by cboggs; 05-23-2016 at 08:13 PM. Chris, any plans to offer this in G10 as well? Yeah, we can do G10 also. What would be the price of G10? Now with new updated CF braces!